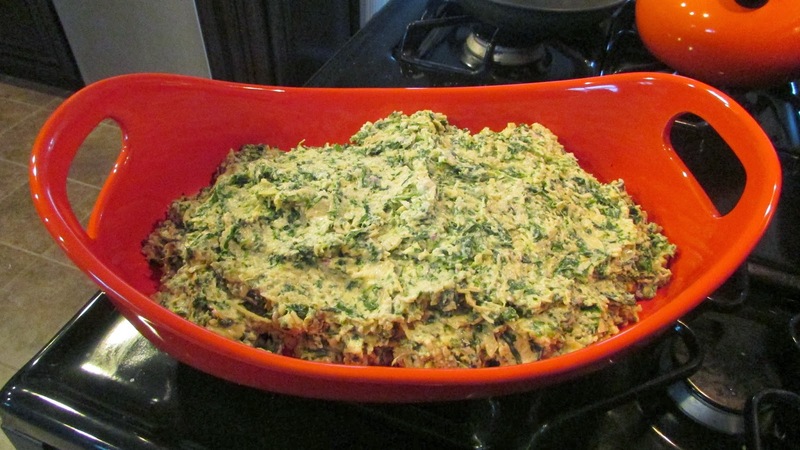 Raise your hand if you love Spinach and Artichoke dip! 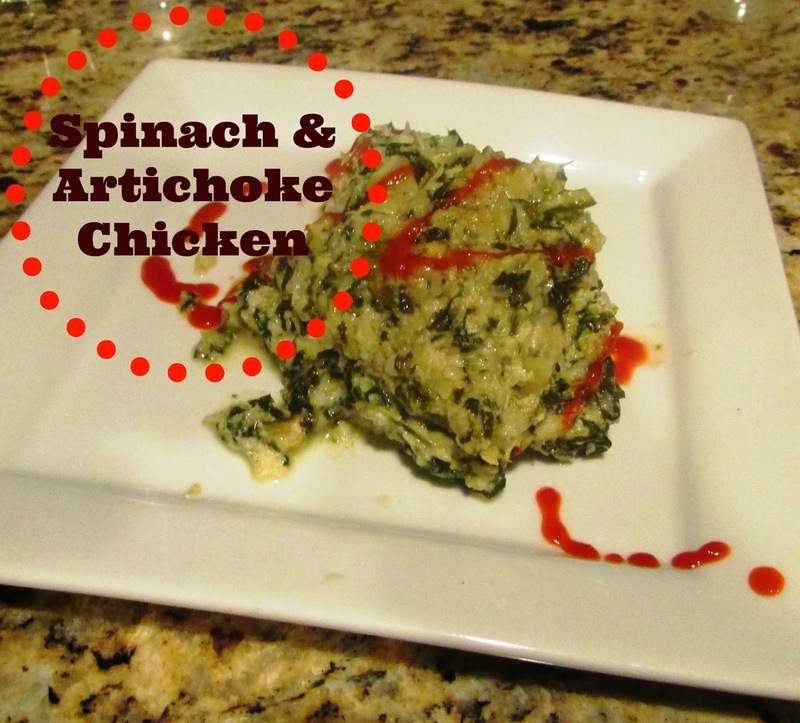 I am exited to share with you a recipe I found on Pinterest for Spinach & Artichoke Chicken, but this wasn't exactly in my blog plan. The truth is that I really didn't have a blog plan for this week. I thought I could tell you about how I finally started hitting the gym at 5am again, thanks to the help of an early morning fitness friend. No, not Ollie, they wouldn't give him a gym membership. Or how after my first day of legs I was rendered temporarily paralyzed, losing the ability to walk or even bring myself low enough to sit on the toilet without pain. But these are just the mundane details of my life, possibly appropriate for a Facebook status or an Instagram shot (not the toilet thing, you're welcome), hardly the material for a full blown blog post. So what do I do when I don't have anything (exciting) to write about? I eat! I started browsing my 'Feed Me Healthy' Pinterest board for a recipe that I could make and share with you! This isn't a food blog and I am not a cook. I am actually the least qualified person I know to create a recipe from scratch. My husband is the cook (calls himself chef-boy-Russ-G) and makes 90% of our family dinners. But over the years I have figured out how to prepare some healthy meals and I am always looking for something new and fresh. We have a tendency to get stuck in a food rut, eating the same things week after week. I am so guilty of pinning tons of healthy recipes and never making any of them! When I find something easy, delicious, and (mostly) healthy, I am excited to share it with you! 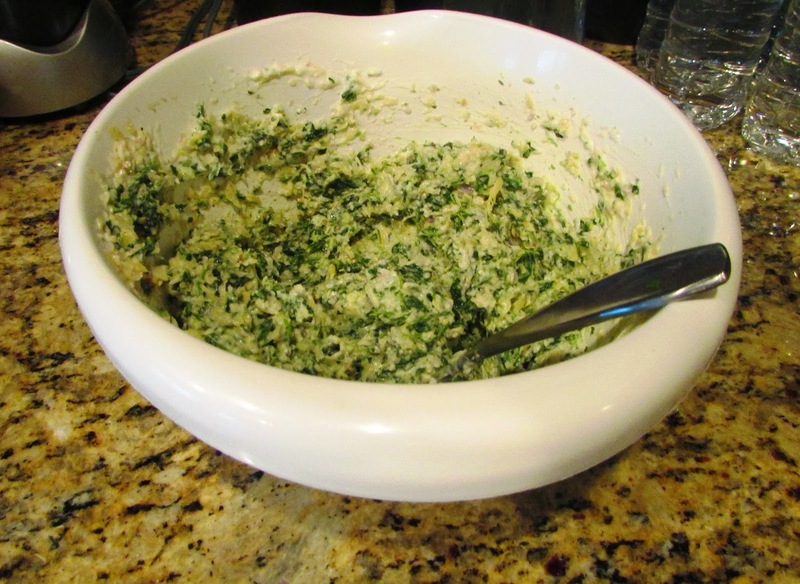 I love spinach and artichoke dip. Love love love. So, when I saw this recipe on Pinterest by Robyn Stone at Add a Pinch for a slightly healthier Spinach and Artichoke chicken, I was inspired to try something new. I loved that the recipe uses Greek yogurt and I even considered (for about two seconds) leaving out the mayo for the healthiest version possible, but nah, life is too short, a little mayo hasn't killed me yet. You can get the printable recipe over on Add a Pinch, but here is my version. The only thing I did differently is that I added red pepper and cayenne pepper to the artichoke mix, and topped it off with Sriracha. It turned out really delicious! Mixed up the artichoke and shallots in the chopper. Mixed all the rest of the ingredients together in the bowl. Topped the chicken with the spinach and artichoke mix. Ready to go in the oven! 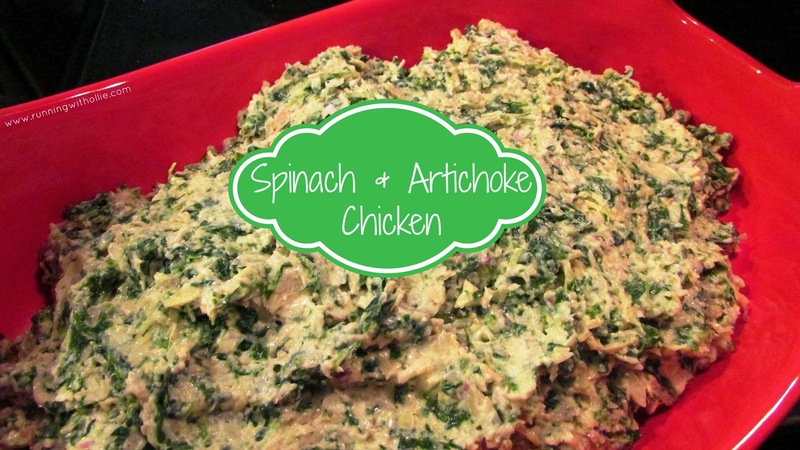 Go visit Robyn Stone at Add a Pinch for the full recipe for Spinach and Artichoke chicken. Speaking of Pinterest, in case you missed it on the Running with Ollie Facebook page (or Facebook decided not to show it to you - aurgh) I want you to know that I created a group board called Fitness Inspiration from Friends where I am inviting my fitness-minded readers and friends to share their favorite health and fitness related pins. It can be from your own blog or just fitness pins that you like. Let's motivate each other! 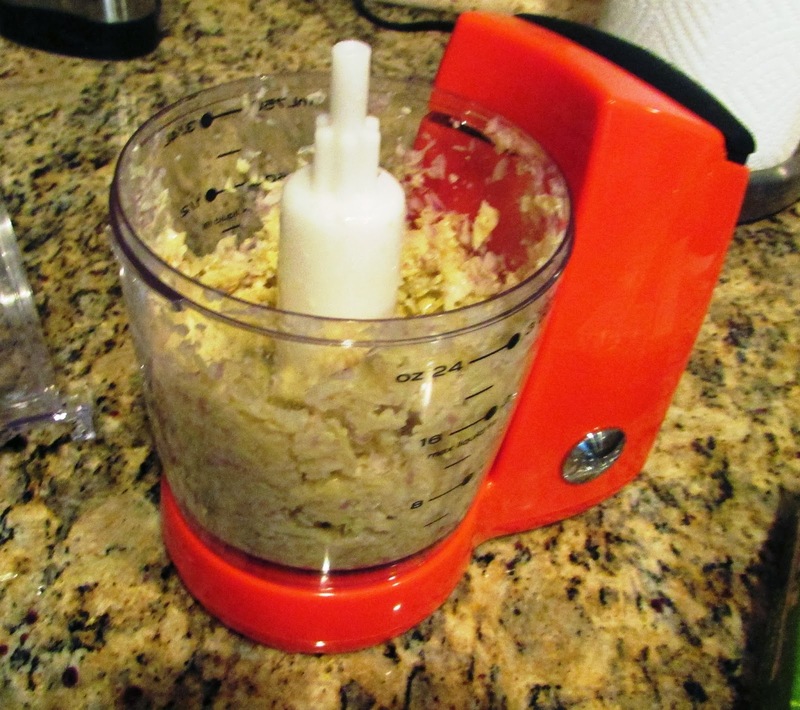 I've pinned this recipe there. You have to request to join, so just email me at runningwithollie(at)gmail(dot)com or leave your Pinterest name in the comments if you want me to add you as a pinner to this board! Let me know if you decide to try this recipe! I'd love to hear how it works out for you. Made this the other night for my family. EVERYONE, kids, hubs and me all loved it. I like your ideas to spice it up. so good, right?! I had the left overs for lunch today and I swear it is even better the next day!